While the focus of most tennis lovers this summer will be on whether Novak Djokovic, Rafael Nadal, Roger Federer or even – whisper it quietly – Andy Murray can win Wimbledon, many will also be looking forward to that tastiest of traditions at the annual UK tournament, strawberries. 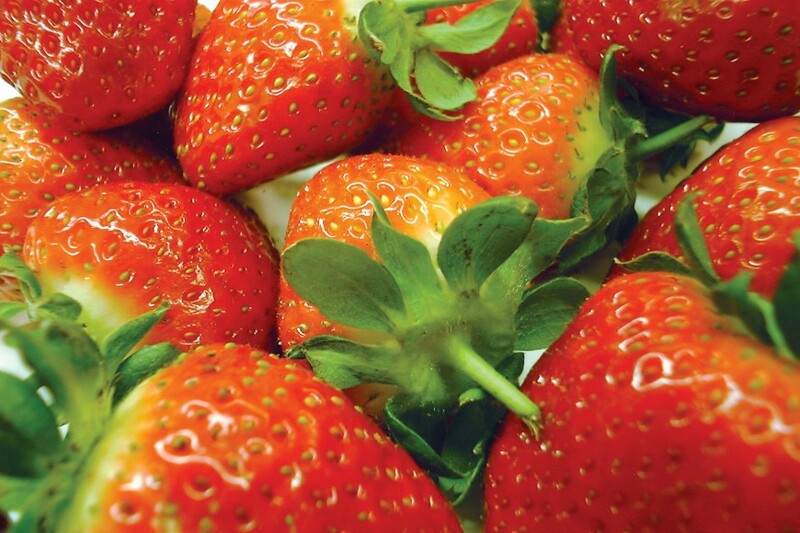 Wimbledon and strawberries go hand-in-hand, and this year for the 12th year running, all the strawberries served at the two-week tournament will be LEAF Marque certified, meaning they have been produced to a high environmental standard. Each year at Wimbledon, some 28,000kg of strawberries are consumed during the tournament, making it one of the biggest events for strawberry consumption in the UK calendar. LEAF Marque farmer Marion Reagan, of Hugh Lowe Farms in Kent, is the sole supplier of the fruit to Wimbledon this year, through official caterers FMC Catering. Hugh Lowe Farms applies LEAF's integrated farm management system, combining traditional farming methods with modern technology, to help maintain high standards of production with minimum environmental impact in areas such as water and soil management, energy efficiency, landscape and nature conservation, and pollution control. "There is increasing consumer demand for food which has been produced sustainably," said Jeremy Boxall, LEAF’s commercial manager. "The LEAF Marque is an independent assurance scheme, increasingly being chosen by food businesses to demonstrate this. Hugh Lowe Farms is an excellent example of a farm using LEAF’s progressive integrated farm management principles to deliver quality food to high environmental standards." And Marion Regan, managing director of Hugh Lowe Farms, added: "We are committed to producing top-quality fruit and looking after the landscape and biodiversity on the farm. LEAF's integrated farm management enables us to do exactly this. Maximising our resources not only makes sense from an environmental point of view, but it also makes sound business sense, helping us to be more efficient, reduce waste and improve our profit margins."